Launched in India on 15th January 2019, the latest iteration of the Ninja ZX-6R is now being delivered to discerning Kawasaki customers across the country. 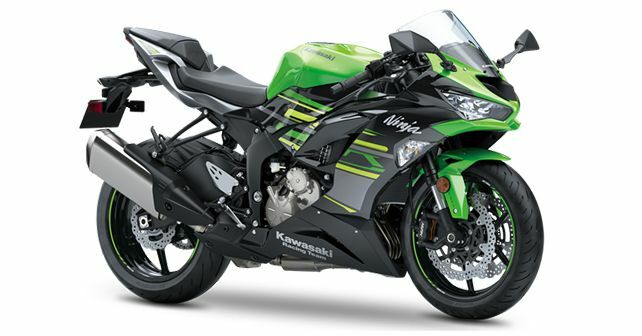 India Kawasaki Motors (IKM) has commenced deliveries of the latest model of its 'Ninja' lineup – the ZX-6R. While the Japanese manufacturer launched the 2019 version of the Supersport bike in India on 15th January 2019, the bookings had already begun back in October 2018. The locally-assembled 2019 ZX-6R carries an introductory price tag of ₹ 10.49 lakh (ex-showroom), and this introductory price tag is most probably applicable only on the first production batch, which will have a limited number of units. While the 2019 iteration carries over the same mechanical specs as the outgoing model, it has been given more equipment in the form of KIBS (Kawasaki Intelligent anti-lock Brake System), a three-mode KTRC (Kawasaki Traction Control), KQS (Kawasaki Quick Shifter), which is part of the standard equipment, and LED lighting (both at the front and rear). Complementing the adjustable brake lever is a five-position adjustable clutch lever that allows further customisation of riding ergonomics. The 2019 ZX-6R is shod with Bridgestone Battlax Hypersport S22 tyres for unmatched grip in both dry and wet conditions. The bike continues to be powered by a 636cc, inline, four-cylinder, DOHC motor, which generates 128bhp, 70.8Nm of torque and is capable of revving at 16,000rpm. However, for the Indian market, the motorcycle will be available exclusively as a single-seater.